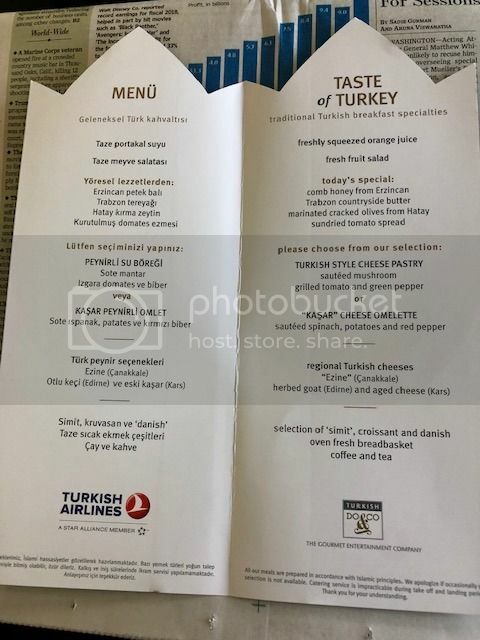 Hello, I recently traveled with Turkish Airlines from Ljubljana to Muscat via Istanbul. This is part 1 of the trip report. Part 2 will be published shortly. I arrived to airport about 1:30 hour before departure. 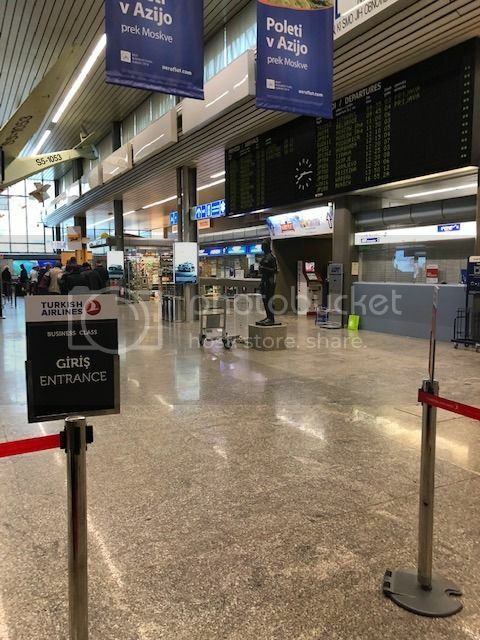 Turkish Airlines have 4 check-in desks (3 for Economy Class and 1 for Business Class and Elite members. Check-In took less than 5 minutes and the agent was friendly. Airport was very empty, security check-point had also no waiting line. 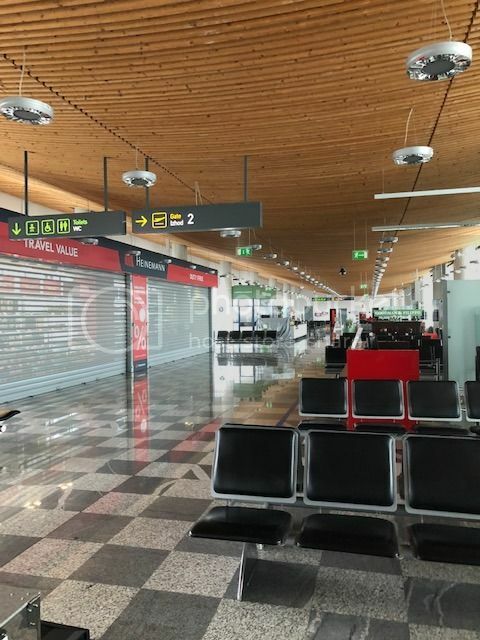 There is only 1 Lounge at the Ljubljana Airport which is used by the all airlines, Priority Pass and credits card with lounge access. 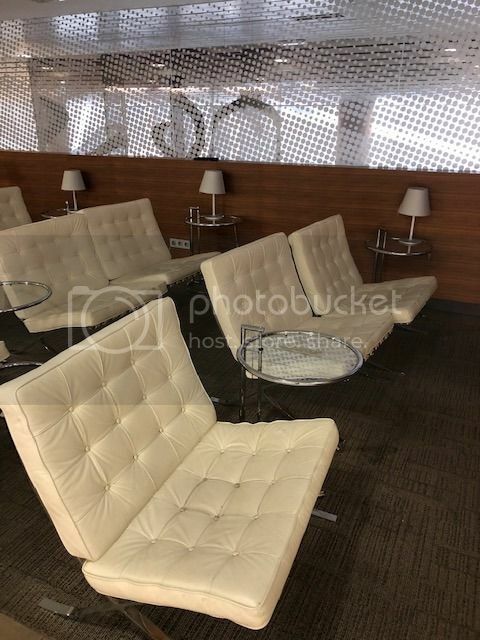 Lounge is located next to waiting area for gates 9-13. Lounge is divided into 2 parts. First part is more like a “Quiet Room” with 9 semi-private suites. 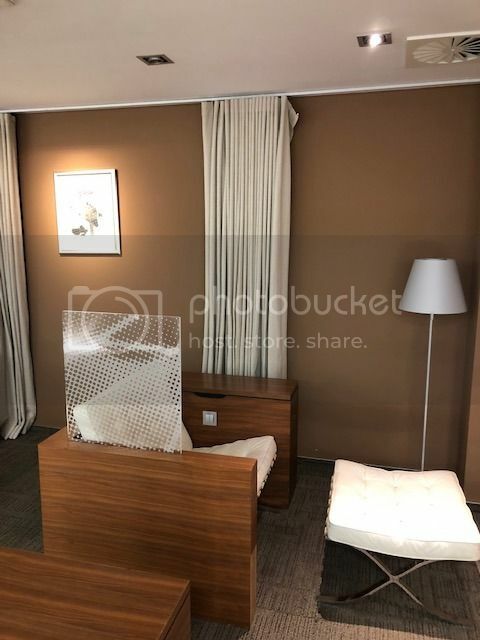 Suites are offering personal reading light and power outlet. Second part have lounge chairs, few tables with chairs and food / drink buffet. This Airbus A321 had separate Business Class cabin with 16 reclining seats. Seats offered quite generous legroom in bulkhead. 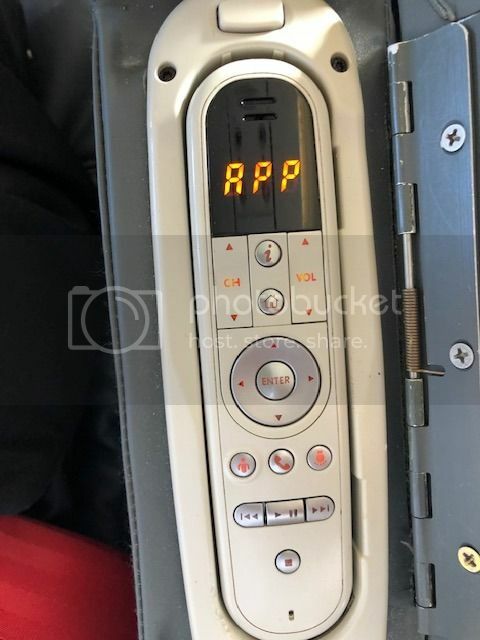 Seat was equipped with personal inflight entertainment screen and USB power outlet. Seat had manual controls for leg rest, back rest and lumbar support. To the side of the seat there was also the table which could be open fully or in half. Recline of the seat was not that generous but for 2-hour flight is better than what most airlines offer in euro Business. 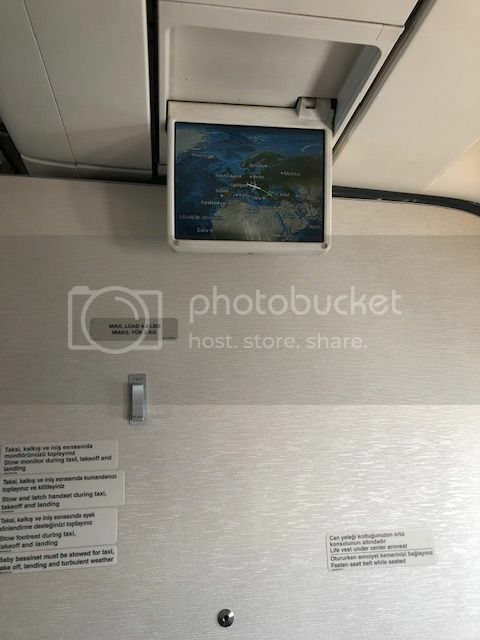 During the flight there was a moving map displayed on overhead TV screens. Unfortunately, I had some work to do, so I could not check the collection of movies, music and games. Boarding was completed few minutes before 10:00. I was offered a choice of welcome drink (water, orange juice, watermelon juice and lemonade). I choose orange juice and I was also offered some nuts. There was also a menu for today’s flight. 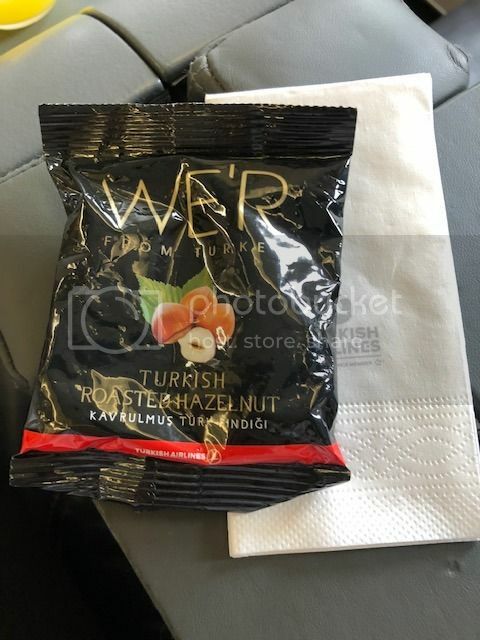 They served hot breakfast on flight to Istanbul with choice of main course. 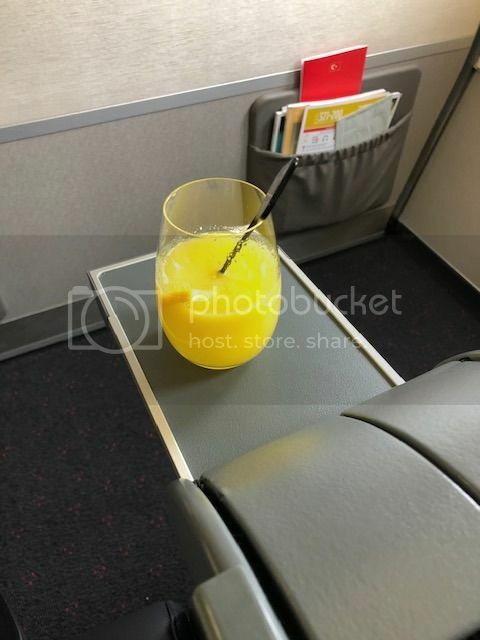 Shortly after takeoff fasten seat belt sign was turned off and crew began serving breakfast. 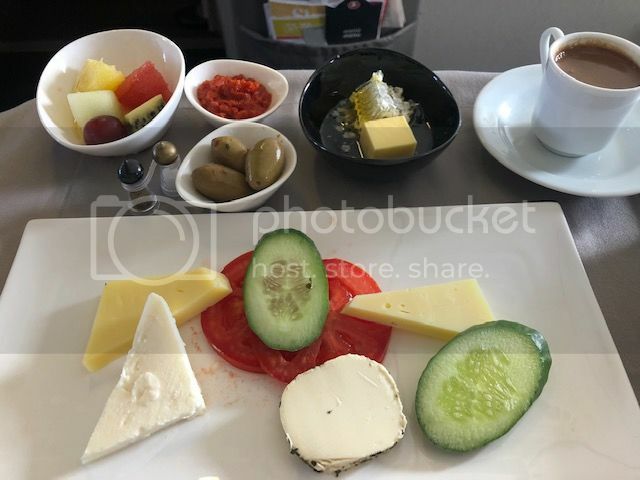 First they brought tray with cold starter (cheese, sliced tomatoes and cucumbers), small plate of olives, small bowl of spicy tomato dip, small bowl of fruit cuts and jam with butter. 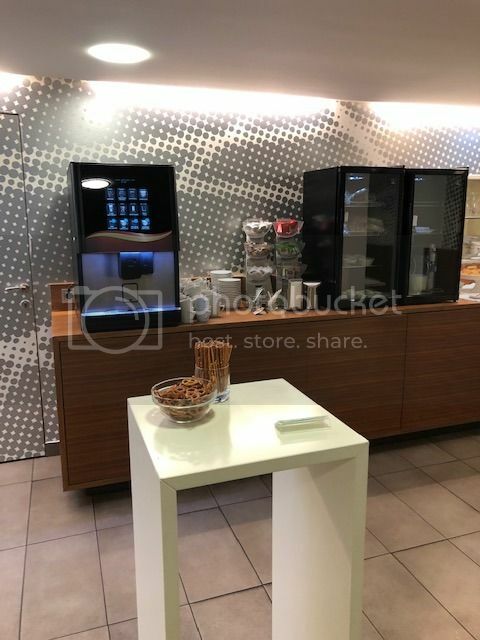 They also offered few times a choice of bread and sweet pastries. Cold starter was good, maybe I would add to it some cold cuts (meat or fish) and more choice of jams would be nice. Otherwise food was delicious and not too cold. For drinks I had orange juice which was good and Turkish coffee. Turkish coffee was also very good and not to sweet. After they asked me about my main course. I choose Cheese Omelet. 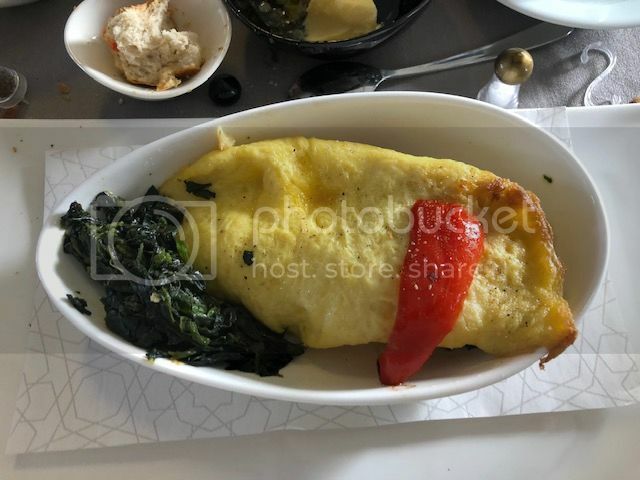 Cheese Omelet was also good, specially the side dish with peppers and spinach. After I finished with breakfast was time to work. 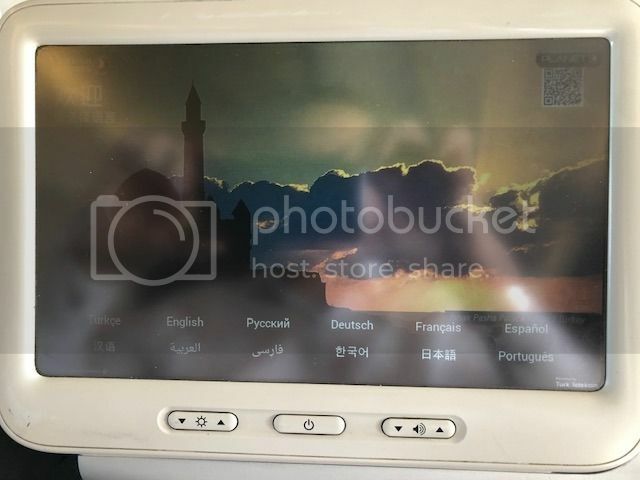 I worked for until fasten seatbelt sign was switched back ON and we where ready for descent to the Istanbul Ataturk international airport. Just before landing I asked for another glass of water and it was served again with the napkin. Curious why you rated the seat comfort so low, when you said yourself (below) its better than typical Euro business class which nearly all airline have these days. 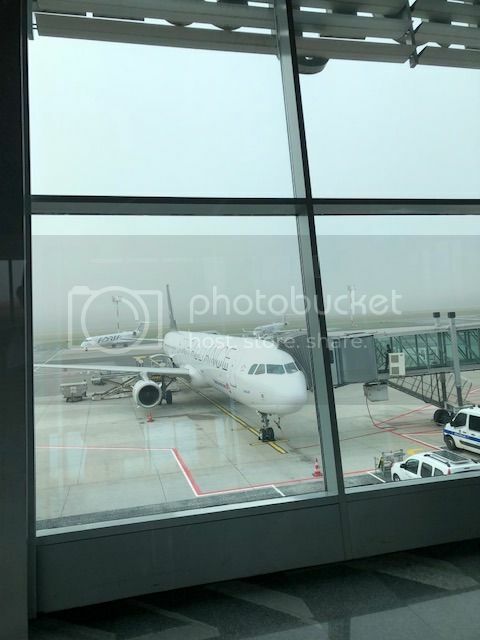 "This Airbus A321 had separate Business Class cabin with 16 reclining seats. Seats offered quite generous legroom in bulkhead. Seat was equipped with personal inflight entertainment screen and USB power outlet. Seat had manual controls for leg rest, back rest and lumbar support. To the side of the seat there was also the table which could be open fully or in half. Recline of the seat was not that generous but for 2-hour flight is better than what most airlines offer in euro Business." 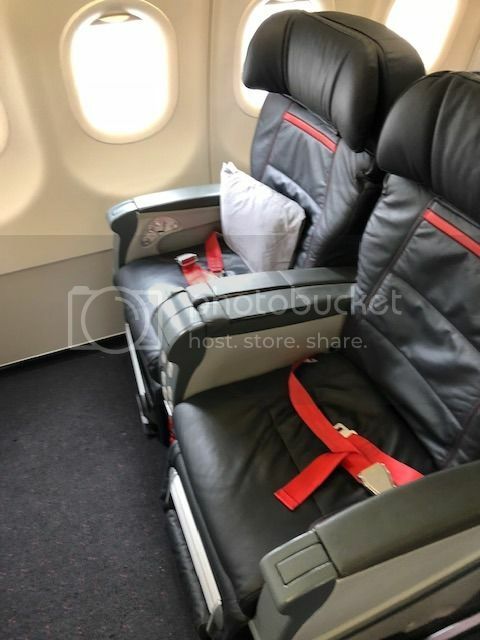 The seats where better than what you get on Lufthansa or Air France in Business Class on euro flights. 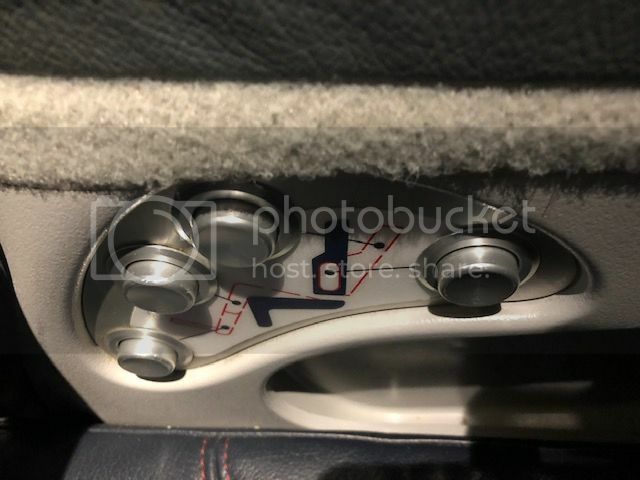 But they could still have more recline, specially for sleeping what I found on night flight from IST to MCT which Trip Report I will post soon.